o your clients understand the importance of maximizing their Social Security benefits? Many people think, “It’s MY money,” and that they’ve, “been paying into Social Security for many years.” This is not true. The money your clients pay into Social Security is actually used to provide benefits to current retirees. It is NOT set aside in an account waiting for them. If you don’t educate clients correctly on this subject, they could be forfeiting some of the best money, money can’t buy! You see, once Social Security benefits begin, they continue delivering guaranteed paychecks for life—just like many annuity payments do! Here is what you need to share with clients so they can maximize their Social Security benefits for retirement. Make sure you and your clients pay attention to the Social Security Administration’s (SSA) annual Cost-of-Living Adjustment (COLA). One of the biggest perks to Social Security benefits is that you paychecks are inflation-indexed annually! For 2019, the SSA released a 2.8% COLA, the highest in several years. Studying the historical trends of COLA can lead to a deeper discussion with clients about the economy and the rest of their retirement plan. The fact that this paycheck is protected from inflation every year is great, but we might see COLA diminish if the Social Security program is reformed. Plus, a high COLA might have some of your clients wanting to “Get while the gettin’ is good!” But delaying benefits has big benefits! This is exactly why planning a maximization strategy with a professional is so important! Waiting to receive benefits until after one’s full retirement age (FRA) will increase benefits. Although an individual can receive Social Security retirement benefits as early as age 62, benefits are reduced by taking them early! For example, if an individual whose FRA is 66 begins taking benefits at 62, the amount would be about 25% less than what it would be if they had waited until reaching their FRA. Furthermore, if they had delayed claiming benefits beyond their FRA (until age 70 in this example), they could increase their benefit amount to 132%! There are actually two ways your clients can increase their future Social Security retirement benefits. 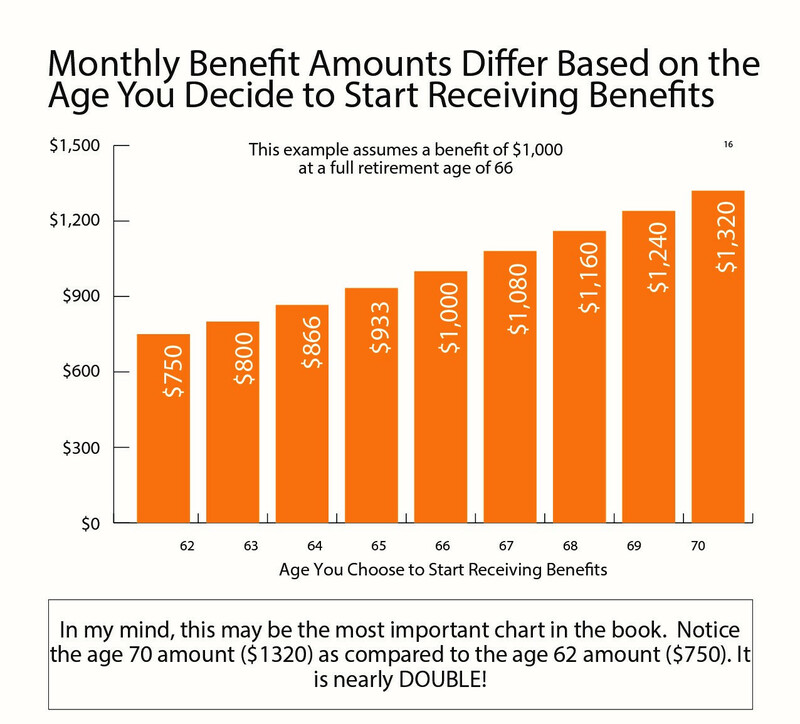 One way was demonstrated in the example above because the benefit amount automatically increases by a certain percentage (8% for a person born in 1943 in the example) for each year delayed (age 70 being the maximum age someone can delay to). The other way is that each additional year your clients work will add a further year of earnings to their Social Security record. A higher amount of lifetime earnings can mean that a higher number will be averaged into the benefit calculation, so this is a common strategy many retirees use to maximize their benefit. Everyone’s situation is unique, so deciding when to claim Social Security is a decision that should be made between a retiree and their financial professional. Plus, the Social Security program as a whole is changing. The SSA even states, “The Trustees project that the combined trust funds will be depleted in 2034, the same year projected in last year’s report.” Just remind clients, they may not get as much as their grandma got, but they’ll get something, and that’s why they need to use specific strategies to maximize this guaranteed lifetime income! Give your clients a copy of my guide so they can stay up-to-date with all the changes including spousal benefit strategies, the earnings test, the impact of taxes, and Medicare benefits. I update the research every year so you can continue using it to start a conversation about Social Security, retirement planning, and how the other products and services you offer use income maximization strategies to create an optimal retirement. See you at full retirement age!